Inheritance. In this video the father and daughter are talking about inheritance. The daughter wanted a mirror that belonged to her grandmother. Her father decided to sell it instead of giving it to her. The price, $150. Ultimately he gave his beloved daughter a family discount of 50%. She was able to secure her cherished family heirloom for $75. Amazing to know that her own dad traded a few dollars for his daughter’s heritage. This video does not continue into the full details. All we know is that this poor girl was made a mockery by her own father over seventy five bucks. The Dr Phil story in this video demonstrates how family bickering can be side stepped. We’ve all heard the stories about the rich and famous estate battles. The Bob Marley estate fight is a big one. Just another example that demonstrates how lack of estate planning impacts rich and poor alike. How do you go about getting that done. Everyone knows an estate planning attorney. Right? Wrong. That’s why we have our legal network. It’s a great resource. You can find out about skilled lawyers who do this kind of work. Lawyers who care. Lawyers who can provide serious protection for a very fair amount. There is no need to do without this important tool. Seriously. Anyone with a family and valuables would be making a good move to get this done. If nothing else, make sure to have a simple Will prepared. In a Will you can name the executor of your estate. The executor is the person you trust most to carry out the wishes in your Last Will & Testament. To learn more about the executor role go here. 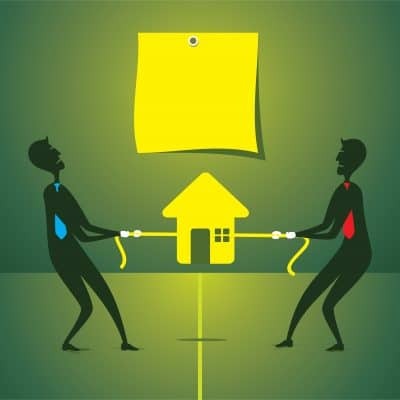 We will continue to post these stories about disputes, probate, and planning. We hope that you will benefit from them.